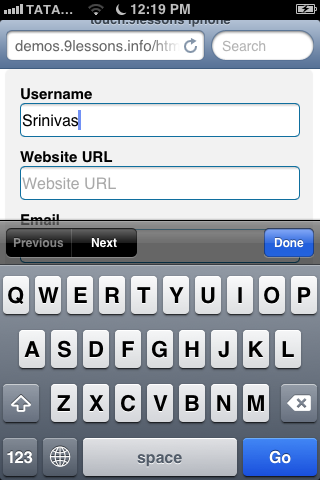 HTML5 Input Types for Mobile. If you are working with mobile web applications, then you must adapt new HTML5 components. 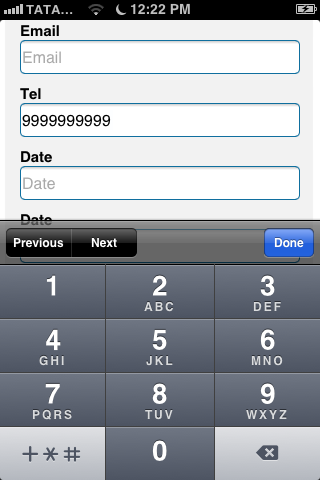 This post explains you how to implement new HTML5 input types while creating forms in mobile web projects. 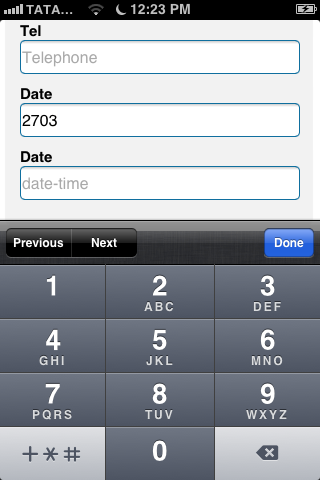 Take a look at these screen shots of the new input types in browsers that support in iPhone. and iPad. You can also add regular expression patterns to allow only number. Using pattern="\d*" will only display number in the keypad. input type="text" pattern="\d*" id="session_id" placeholder="Enter a number"
Hey Srinivas, this was really awesome tut man..! Is it working for all mobile browsers or for limited one eh ? Nice, but what about Android? 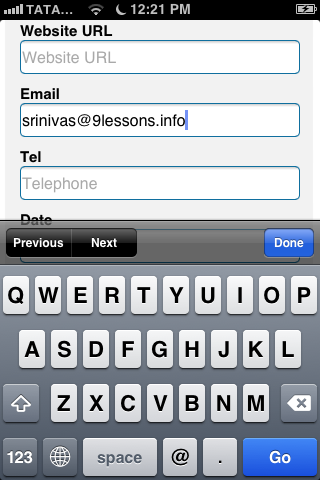 If we are typing incorrect web address and mail Id it is highlighted to red, looks nice. Similarly when we type letters instead of numbers in fields where we should type only numbers then also it should be highlighted in red. Useful in this mobile web age>>> Thanks! I really enjoy reading your post! Thanks for sharing with us! Delightful! This is a wonderful tutorial! Thanks for making it easier to understand by writing this post! Thank you for documenting this! Definitely useful. Are these compatible with android devices also?